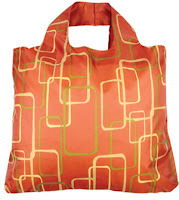 I really love the bags from Envirosax…they have a great selection and are very lightweight. For those of you who are not ready to take the plunge like Jodi did, please consider recycling your plastic bags – check here for drop off locations in your state. The average family brings home 1,000 bags every year. Most of those bags end up in land fills. That really adds up – 100 billion plastic bags are sent to landfill in the US each year. 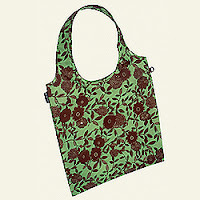 In landfills, it can take up to 1000 years for a bag to decompose. Plastics don’t biodegrade, they photo-degrade, breaking down into tiny toxic pieces that contaminate soil and water or harm wildlife. Great suggestions. 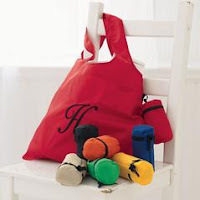 I like the Baggu bags–they hold tons and the colors are great. I also like the bags that clip on the sides of the shopping cart from reusablebags.com.